For Indian Couple and honeymooners who love to cherish the best of their romance and want to celebrate honeymoon and romantic holidays in a very special way with royal treatment, Bali is a paradise where they can have everything they need to enjoy their holidays. Interesting thing is that they can have the food of their choice at some of the best restaurants in Bali that have specialization in serving the delicious platters full of famous Indian recipes. You will see more recipes and type of dishes in the menu to choose. Before you plan to Book cheap Bali honeymoon packages from Bangalore or anywhere, it is better to know about the top restaurants in Bali. These restaurants are at different locations in the island paradise; while they are serving something different from others. Here, details of top 5 best restaurants are described that are ideal for Indians on honeymoon. 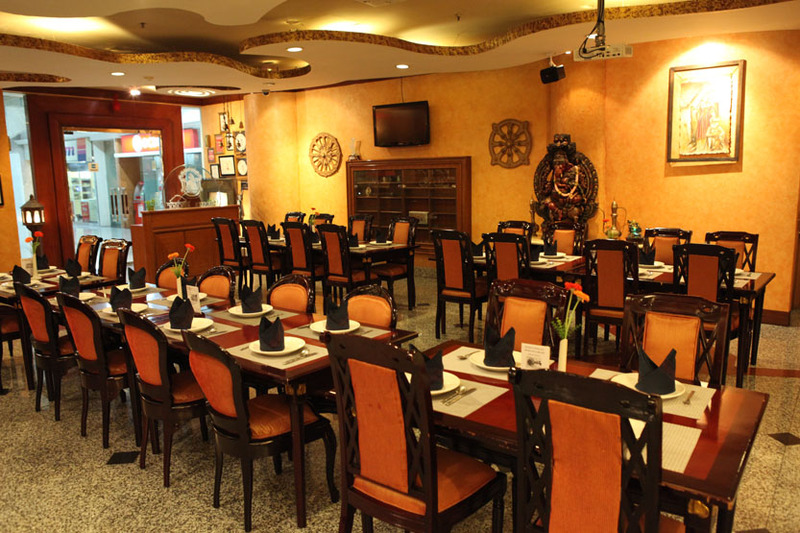 A reputed chain of India restaurants, The Queen’s Tandoor is widely popular around the island for authentic Indian dishes that are specifically prepared by native Indian chefs, their comfortable and classy locales and their reliable delivery services that can reach to your hotel/resort room too. Menu is specially designed for you that include some of the best Indian names like Tandoori Chicken, Mutton Vindaloo, Massala Dosa, Fish Tikka and a lot more that come with complimentary Pappadums with vibrant sauces. Don’t forget to be the part of culinary journeys with excursion around the island paired with Indian cuisines. The wonderful restaurant chain has its addresses in Seminyak, Ubud, Kuta & Nusa Dua. As the name implies, Gateway of India has five locations around Bali that include Seminyak, Kuta, Sanur, Ubud, and Nusa Dua. It has something good going on; while the menu focuses on North and south Indian food with plenty of vegetarian options for those of non-meat persuasion and the majority of their eateries are always full with family and friends noshing on superb Samosas, curries and daals that are washed down with aromatic Chai tea and fresh fruit lassies. Indian Dhaba is in Nusa Dua from this top chain; while Indian Delites is in Ubud. 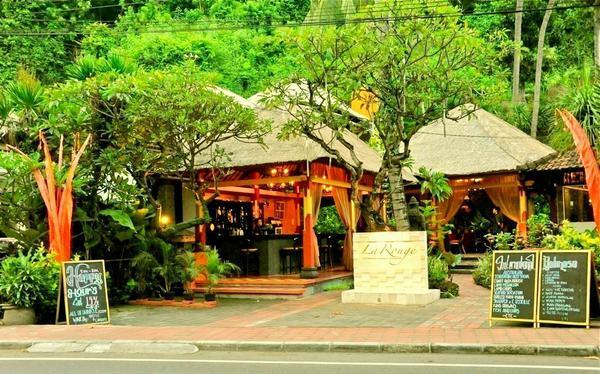 you are searching for Indian food during your honeymoon or any kind of other holidays, La Rouge Bali is the ideal place for you in Dandidasa at Karangasem in Bali. Its decoration is impressive with mosaic tiled floors, silk curtains and velvet upholstered chairs and. You will see a good number of dishes in the menu that are from India like Chicken Curry, Samosas, Palak Korma and a lot more. A variety of Balinese and international dishes are also served here. 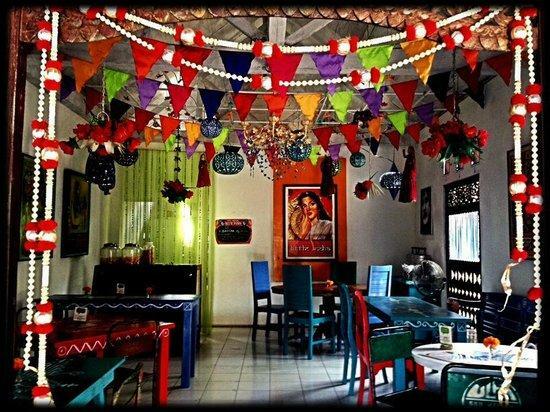 This cotemporary Indian restaurant and bar on Jalan Melasti in Legian is an ideal place to enjoy the real Indian dishes. The bright red walls and ceiling painted sky blue with clouds will make you feel special. Dal Makhani, Chicken Biryani, etc are some of the special dishes served here with warm greetings and welcome. Warung Little India in Ubud is famous for serving up authentic Indian home-style cooking that is hailed by many as the best Indian food on Jalan Sukma – just down from the Jazz Café. This tiny spot is decked out in colorful flags, tables and chairs. Thali is served here that include curry, daal, Naan, Samosas, pickled vegetables and raita. Don’t miss excellent fresh lemon juice. There are various other names that are known for serving you the best dishes that will provide you feelings of enjoying something special at home. You have to choose the right one or taste something different on every new day. Smart Holiday Shop has been offering you affordable packages that are designed to let you enjoy holidays in a memorable way. Choose the best Bali tour packages from Delhi by Smart Holiday Shop and at the same time enjoy the delicacies of your choice and in your own way. The amazing culinary experience will keep you surprised and persuade you to visit them again and again.